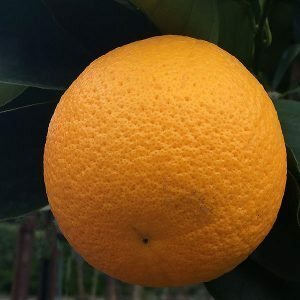 As we eat more oranges than any any other citrus fruit it is a wonder that more home gardeners who have the room do not plant an orange tree. They are great for fresh fruit, for juice and of course for making marmalades. Choose the right orange tee for the right purpose. Allm varieties are self fertile, so you only need one. All are evergreen and all are sun loving. As with all citrus trees, orange trees require little to no pruning, however if you do need to prune, the best time is in spring. Orange trees can also be used as informal hedges as well as for espalier growing along fences or walls. The flowers are scented and attractive, the foliage a glossy green and if protected from frosts, orange trees are very easy care. For growing in containers look for the grafted dwarf varieties. Really these are easy trees to grow,orange trees like a sunny position and a humus rich well drained soil. They require little care and no pruning. Masses of fruit once established. Like most citrus trees, Orange trees require a sunny position and a well drained soil. Nearly all Orange trees are grafted, this means that when you will need to remove any shoots from the below the graft as they appear. The main factors are constant, however not to much water, and fertiliser. With watering, over watering will reduce the quality of the fruit, just as much as under watering. Fertiliser should be a specific citrus fertiliser, this will promote good fruit growth without to much foliage growth. Oranges trees will reach around 3 – 4 metres in height depending on the variety. Seville Orange – This is the variety famous ‘sour orange’ for making marmalade, an excellent fruit tree for the home garden. Valencia – With very few seeds this is regarded as one of the best varieties. Early fruiting and will grow well in many areas of Australia including the hills around Melbourne. It will perform better in warmer climates, in cooler arfeas fruit will take longer to ripen. Washington Navel – Very sweet juicy fruit in early winter, regarded as the best for cooler climates.